About United Country | AltaTerra Realty and Auction, LLC. Located in Paris and Sulphur Springs , Texas and real estate agents serving the areas of Lamar County, Red River County, Delta County, Franklin County, Titus County, Morris County, Bowie County, Hunt County, Rockwall County, Grayson County, Collin County, Kaufman County, Ellis County, Van Zandt County, Hopkins County, Upshur County, Harrison County, Henderson County, Smith County and MORE. “United Country | AltaTerra Realty and Auction, LLC” provides a unique marketing and advertising strategy for local and rural real estate across Texas. With our Broker team of professional brokers and agents being licensed in Texas, Oklahoma, and Arkansas, our reach is extensive and can handle any real estate transaction needed. 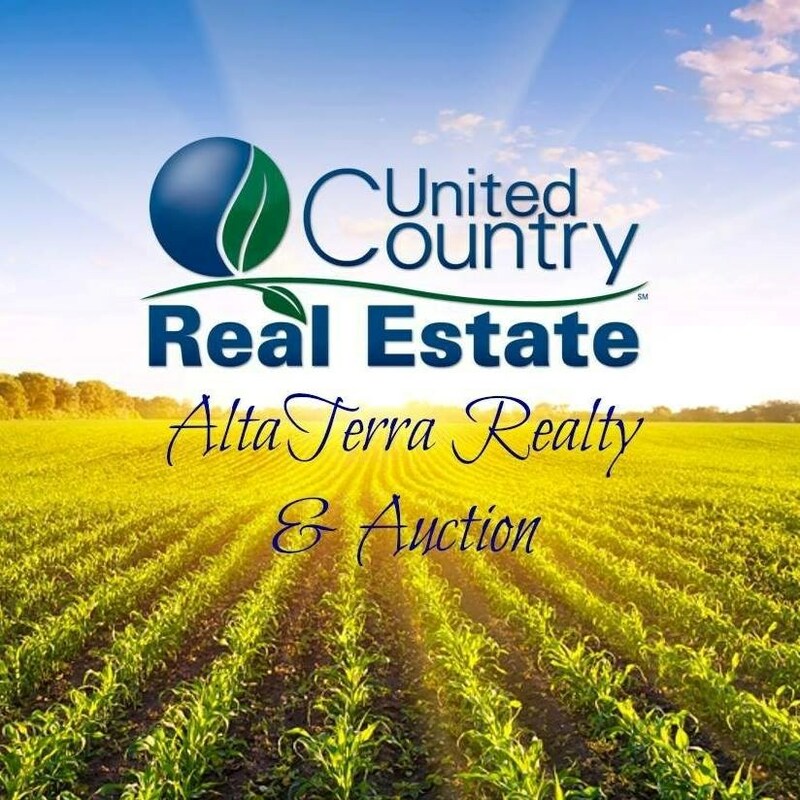 United Country Altaterra Realty & Auction in Paris TX offers a full range of professional real estate services for the Listing and Selling of rural properties for a variety of Lifestyles. Our office of team members offers Price Evaluation Services for Property Owners and Potential Sellers, as well as Real Estate Sales Processes and Real Estate assistance for our Buyers. We are experts in the marketing and locating of any property. Our company is highly dedicated to advertising / marketing local listings to the national market than any other real estate company. An agent of the American Dream, helping people realize ambitions as old as America itself … love of the land and property ownership. “We are Real People that will make a Real Difference in finding you a Real Deal for your real estate needs and dreams”. Rural Lifestyle properties include Ranches, Country Homes, Residential and Homes in Town, and a variety of combinations of Land services to include Recreational, Hunting, Fishing, Investment, and more! What makes United Country Altaterra Realty & Auction different and provide a higher standard of service? Through the Auction part of “United Country | AltaTerra Realty and Auction, LLC”, we can sell all types of real estate properties and personal property through the option of Auctions, both through an on-line component as well as a live process. This provides the unique opportunity for United Country Altaterra Realty & Auction to take care of all your extensive personal and real estate property needs with one real estate company. We invite you to contact “United Country | AltaTerra Realty and Auction, LLC.” in Sulphur Springs and Paris, Texas. We can save you time and money in locating real estate for sale throughout Paris TX and surrounding areas of Northeast Texas, Oklahoma and Arkansas. Buffalo,Texas is situated in Leon County, TX, known as the “Crossroads of Texas”, located at the intersection of I-45 and U.S. Highway 79. Convenient to Dallas, Houston, San Antonio, Austin, Waco, Tyler and Palestine Texas, Leon County is at the geographical center of 75 percent of the state’s population. Our family friendly communities feature the ambiance, hometown character and personal services necessary for your lifestyle needs. United Country Real Estate | Crossroads of Texas prides themselves on providing friendly, unmatched and hands-on professional service with a distinctive hometown appeal. We are “Your Local Real Estate Professionals,” offering everything from hunting, fishing, recreational, farm & ranch, residential and commercial properties in Leon, Limestone and Freestone Counties. United Country is the only real estate company to create searchable webpages for each of our client’s special properties. Our listings are posted on websites found on the first page of Google searches and will be advertised on hundreds of general and specialty sites. In addition, each listing will have its own website discoverable by Google. Marketing to a local, regional, national and worldwide audience through a network that exceeds 3,000 owned and top-ranked real estate and auction websites has earned United Country a top 1% Global Real Estate Franchise Ranking in the Franchise Business Review. United Country Real Estate | Crossroads of Texas features unique expertise including professional home stagers, extensive market analysis and a proven marketing program. Our agents are eager to work with you to accomplish whatever your real estate goals may be. Contact our office in Buffalo, Texas today so we can help. United Real Estate Group (United), an international real estate company with a 90 year track record and over $100 billion in properties sold is uniquely positioned to market your distinctive investment, operating or lifestyle property. United Strategic Client Services (SCS), a wholly-owned subsidiary of United, specializes exclusively on the sale of high-value properties working with a select group of clients at any given time to ensure your property sale receives the attention it deserves. SCS offers extraordinary marketing expertise and services for distinctive properties around the world. Our expertise in positioning, marketing, brokering and auctioning properties covers all property types from investment, agricultural, and development land to luxury residences and commercial properties. As the seller, you and your property deserve the attention of a team of seasoned professionals and a process that allows you to have visibility from start to finish…SCS is uniquely positioned to deliver both.